When you implement the appropriate fish care measures needed, you will more likely than not see your fish thrive in your ponds. 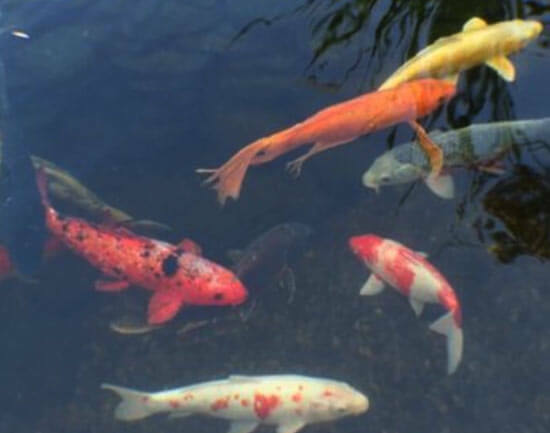 Here is a list of fish related questions that new pond owners may have, so getting to know the answers will definitely help you provide better fish care for your pond fish. What Is The Best Way To Add Fish To My Pond? Ensure that the dealer (you are buying from) has brought the fish through good quarantine procedures. Adding sick fish to your pond will make the healthy ones sick. Never purchase fish that are pale in color, gasp, have fins folded back or those that are listless. Avoid purchasing fish from a tank that has dead fish. A good quality and healthy fish is one that has outstretched fins and is bright and active. If you are not sure whether the fish you wish to put in your pond are healthy, you can quarantine them in a different pond and treat the water properly. If after a week the fish does not indicate any sign of illness, you can add them to your pond. Am I Allowed To Keep All Kinds Of Fish In My Pond? Do not put too many fish to your pond; fish need space to swim and also grow. To keep all types of fish, you should keep each load under one inch of fish length per 1 square foot of water – around one goldfish for every 3 to 4 water surface feet. Koi grow larger. Therefore, you should keep one koi per 10 square water surface feet. Koi should be put in ponds that have at least ten thousand gallons of water. To What Extent And How Often Should I Feed My fish? You should feed your fish around 1 to 3 times every day during the feeding seasons when water temperatures are 39 degrees Fahrenheit or above. Also, it’s also good to go by the rule that you should only feed your fish with amounts they can finish in five minutes. What Should I Do In Times Of Fish Illness? You should immediately remove unhealthy fish and quarantine them to prevent the disease (whether it’s caused by bacteria, or fungus, or parasites) from spreading further. If 2 or 3 fish are affected, and the disease may be infectious. Change twenty-five to thirty percent of the water and get rid of any excess debris. You should use water treatment that chloramines and chlorine from tap water and heavy metal since these may harm your fish. Also, treat your pond and make sure you are providing an ideal environment for your fish. What Is The Best Way To Keep My Fish Healthy? Keeping healthy fish should be the goal of every pond owner. Pond fish reacts to all kinds of factors, such as the quality and nutrition of water since this can make their immune systems weak. Pollutant levels and sudden variations of water hardness and pH affect the water quality and fish health so look out for them too.